Today august 26th-28th the enthralling science fiction novel The Conquered http://www.bit.ly/conquerd will be free on Amazon. It’s the first in a trilogy, but has the ability to stand on it’s own. It centers around an emotionally crippled dictator as he teeters on the edge. For fans of Dune and Bladerunner it’s a perfect fit. The boy played all day inside a very colourful tent. And all day he thought about different worlds, different adventures and different people. They were his friends who sometimes were dogs, cats, birdies, flowers, trees… Every one of them was part of a story created in that moment and that moment only. The following moment it was another story. Some were just friends, other enemies in an imaginary fight with swords made up of leaves from the ground, some totally strangers just walking by… And the boy would spent hours inside that very coloutful tent living those very meaningful different lives… up until snack hour! My TOP 5 Female Characters from Books! Hey Guys! We all have our own favorite female characters in every book that we have read right?, So here I am again and I am going to share to ya’ll my TOP FIVE FAVORITE FEMALE CHARACTERS! YES, GUYS I AM NOT INSANE BUT SHE IS MY MOST FAVORITE FEMALE CHARACTER OF ALL TIME! You may hate her because she’s dark but deep inside she has some light in her heart. Her confidence made everyone intimidated which was kinda cool despite her taste in fashion and of course her rude personality,but seriously her rudeness is just for a show. She’s a total badass and very hot. “Third-Degree Burn.” according to Link. This has a great story. Is there anything that you do that makes you smile? That makes you just grin from ear to ear? That gives you little tingles down your belly? That sometimes makes it hard to go to sleep just thinking about it? I know what some of you are thinking…besides that! Is it Christmas? No. Is it Beethoven’s birthday? No. Is it Guy Fawkes Day? No. Is it my anniversary?… I refuse to answer that question on advice of counsel and on grounds it may lead to my premature demise. It’s none of those! Friday morning at sunrise marks the opening day of quail season in Arizona and Uncle Billy’s Hualapai Mountain Rangers ride again! 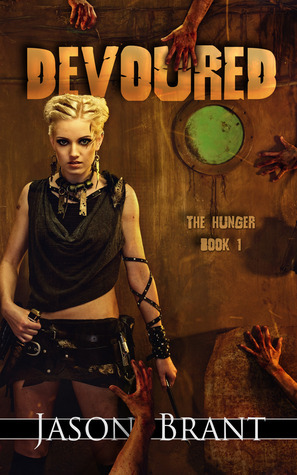 I recently finished reading the first two books in Jason Brant’s “The Hunger Series”. As I myself know all too well, it is word of mouth that sells indie work. I am posting my reviews here for book one and two of the series. If you’re looking for a good indie writer, Brant will set you straight. Well, I sat down this afternoon to try to write this really great post about how I am going to change my career and become a starving artist. Sadly after several hours of writing I was left with no conclusion and a lot of rambling philosophy. Guess I am keeping my day job for now. So instead I want to share with you my favorite sea shanty, “Shallow Brown.” I’ve mentioned a few times that I like shanties and it’s the music I listen to when I work. There is just something about a good old working song that just makes me want to break out in song. I will resist the temptation to record a video of me singing and posting it to youtube. 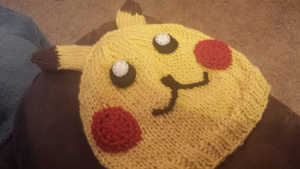 Want to make your own Pikachu hat? You can either use an existing plain beanie pattern or my version. People always say you should do the right thing. Well, sometimes there is no right thing. Then you just have to pick the sin you can live with. 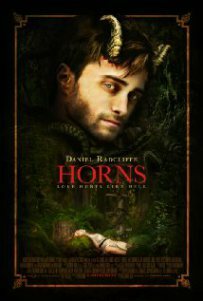 A few months ago I wrote a review of Joe Hill’s book, Horns, and after watching the movie decided to go back and make some comparisons. I definitely enjoyed the movie and it sticks fairly closely to the book. It also plants a pretty square focus on the sins that people are living with. NOTE: A FEW SPOILERS FOR BOTH BOOK AND MOVIE MAY BE PRESENT.